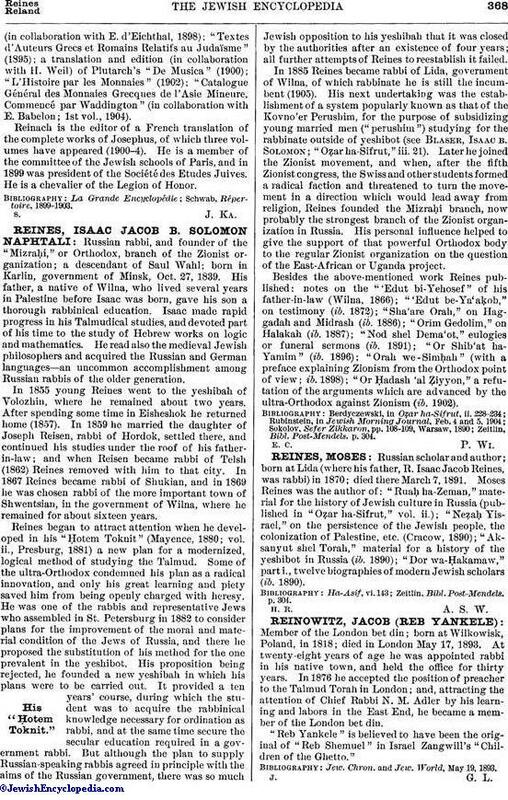 Member of the London bet din; born at Wilkowisk, Poland, in 1818; died in London May 17, 1893. At twenty-eight years of age he was appointed rabbi in his native town, and held the office for thirty years. In 1876 he accepted the position of preacher to the Talmud Torah in London; and, attracting the attention of Chief Rabbi N. M. Adler by his learning and labors in the East End, he became a member of the London bet din. "Reb Yankele" is believed to have been the original of "Reb Shemuel" in Israel Zangwill's "Children of the Ghetto." Jew. Chron. and Jew. World, May 19, 1893.